With all the excitement surrounding the recent introduction of several small Micro Four Thirds cameras by Panasonic and Olympus, it's hard to raise much enthusiasm for the Sigma DP1s, especially considering that it's to all intents and purposes virtually identical to the original DP1 model. Annoyingly Sigma haven't changed the external design of the DP1s in any way, which means that several usability enhancements that were introduced on the DP2 haven't made it onto this newer camera, most notably the dedicated Quick Set button, AF Point button and faster True Imaging II processor. The DP2 is the best model of all three Sigma compacts, but if you want the wider-angle lens of the DP1s, you'll have to accept the now out-of-date and painfully slow operational quirks. The addition of the Quick Set menu is a nice touch, but side-by-side the DP2 is quicker and easier to use than the DP1s. Image quality is thankfully still excellent. There is virtually no noise throughout the ISO range, only at the fastest JPEG setting of ISO 800, but we can't understand why Sigma chose not to include faster the faster ISO 1600 and 3200 settings that the DP2 offers. Chromatic aberrations like purple and green-fringing, typically a problem in this class of camera, are simply non-existent on the DP1s, testament to the excellent prime lens, which is also the reason for the almost complete lack of pincushion or barrel distortion. Just be aware that the quoted 14.06 megapixel resolution isn't comparable to a Bayer sensor, in that it creates much smaller 2652×1768 pixel images which you'll need to interpolate for larger print sizes. Officially price is also an issue for the DP1s, with £549 / $649 simply too much for such a slow and now out-moded camera. Happily many retailers seem to have realised this, with street prices in the UK much nearer the £350 mark, a much more realistic figure. We've scored the DP1s on the official RRP, but it's worth at least one more star at these kinds of prices. You've really got to love the images that the DP1s produces to justify buying it, especially with rivals like the Panasonic DMC-GF1, Samsung NX10 and Olympus E-PL1 waiting in the proverbial wings. 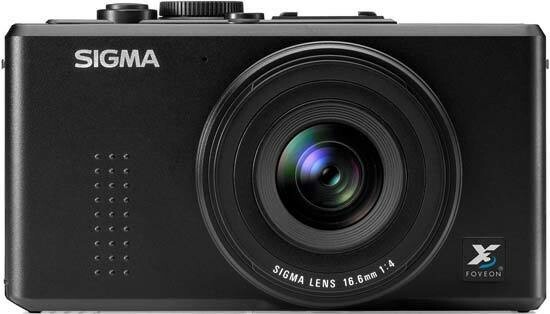 Sigma's compact cameras still have a certain back-to-basics appeal, but modest upgrades like the DP1s simply don't cut the mustard in 2010.